There are no preloaded pictures on my sim card. WHY I can't get others from designs tobe anything other the pbp files. I am getting very frustrated!!!!!!! It true of all of the CNC or 3D design applications that you must save files twice. The first save is in a format that can be read by the design application and the second save is to create a file that can be read by the printer, or in the case of 3D printers, a file that can be read by a xlicer that then creates a gcode file that the printer can use to create the object. In Pancake Painter, FILE > SAVE PROJECT or FILE > SAVE PROJECT AS saves ,bpb files which can be interchanged with other uses or from other users. It is the FILE > EXPORT FOR PRINTING selection that should create a .gcode file that can be seen by the PancakeBot. 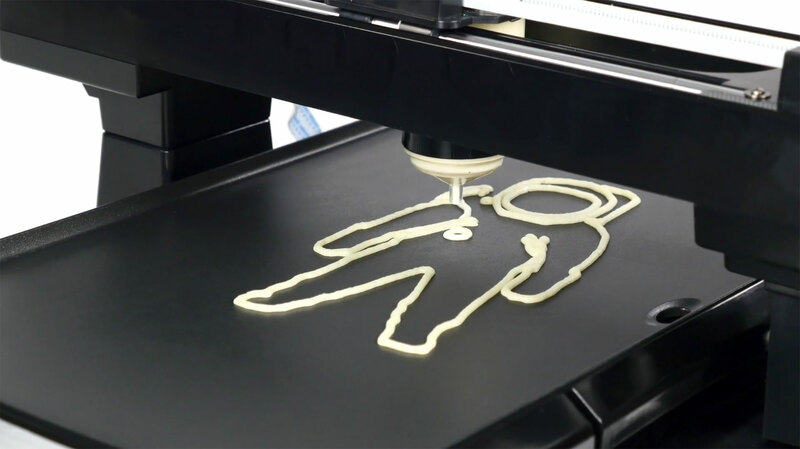 It's important to save your pancake creations in both formats and if you import a ,pbp file that someone else has created to open it and then use EXPORT to convert and save that design as a .gcode file for your PancakeBot. Miguel Valenzuela Hi Rosanne, sorry about this. The PancakeBot does not read .pbp files, it reads .GCODE Files. So you need to take this into pancake painter and go to File, Export for Printing to generate your GCODE Files. I have attached a file called ThreeSpirals.GCODE for you to test.